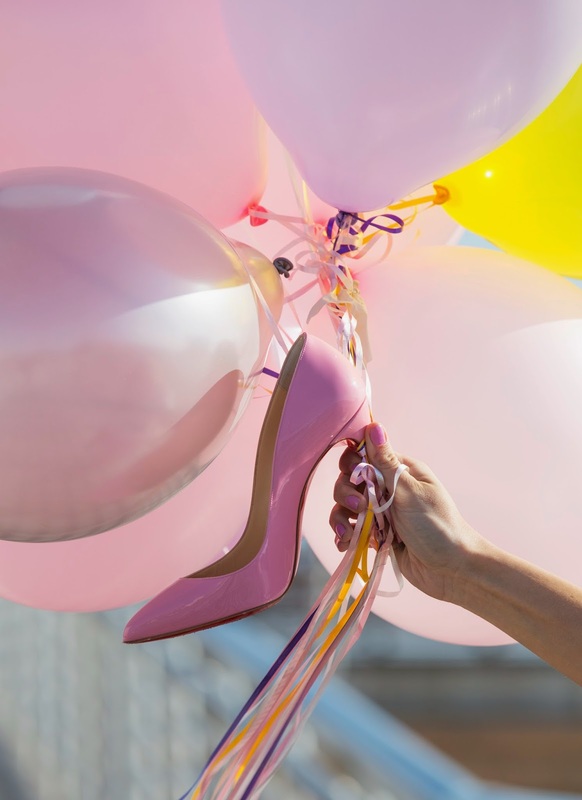 I think shoes are the most important part of an outfit. They can liven up any outfit and tie the entire look together. I spend most of my money on shoes and more than ever I like to buy statement shoes, so people notice and remember them. 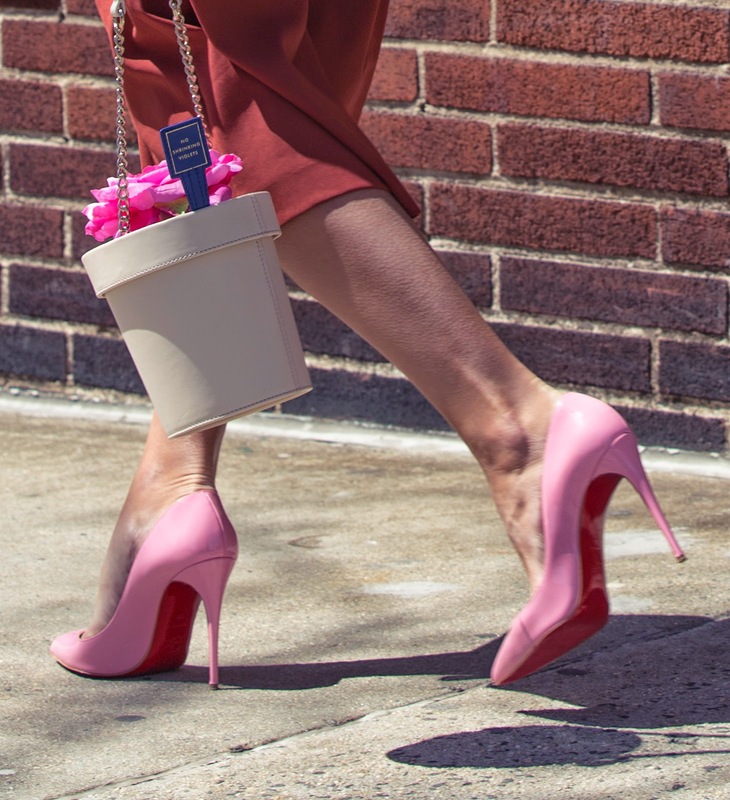 These Christian Louboutin pinkies are one of them! Holy Moly, that color and that bold pattern! Yes, they are my favorite. Seriously, I love how much more fun they can make a simple outfit look. I think I will live in them whole Spring and Summer! 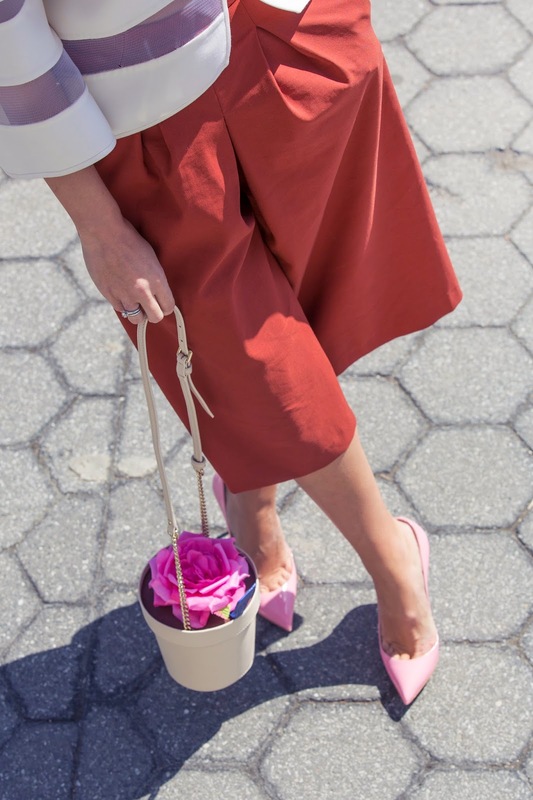 For today I paired them with another statement thing from my wardrobe – the Ralph Rucci Runway jacket, new Zara Culottes and the new Kate Spade New York flower basket bag.